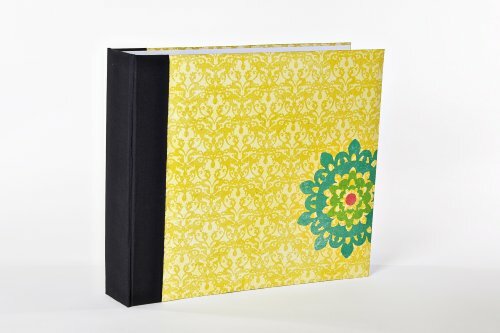 michelle paige blogs: Quick, Easy, Guilt-Free Scrapbooking! I've always loved documenting activities and events in scrapbooks. The first scrapbook I made was in high school with pages full of my crazy 80's outfits and hairdos, boy crushes and dance pictures. This page is of me getting my braces off and getting my driver's license. I always smile when I look back at these pages full of the things that were important to me as a teenager. Apparently my spelling errors didn't bother me back then? After college I picked up scrapbooking again documenting my married life full of traveling, teaching and house projects. Fast forward to today where my albums are jammed packed with my children, family events and activities that fill our busy life. It brings me so much joy to see my family looking at past scrapbooks, remembering all the fun times we've had together. My daughter loves to pour over the pages in her baby scrapbook where I have documented all the details of her adoption. I caught her just the other day sitting on the couch looking at her baby book. I love the process of scrapbooking where I can co-ordinate papers, cut patterns, create designs, add embellishments- like ribbon! (I do love ribbon!) The only thing I don't love about scrapbooking is the time it takes to make the pages. Hours seem to disappear with very few pages completed. Pictures stack up, months go by and guilt sets in as another year passes without a completed scrapbook. Well, I've finally found a solution that works for me. It's called Project Life by Becky Higgins. Watch her short video and you'll be so inspired! filled with divided photo pocket pages. The pockets fit your pictures perfectly. You slip in a picture in each pocket without cutting or gluing. 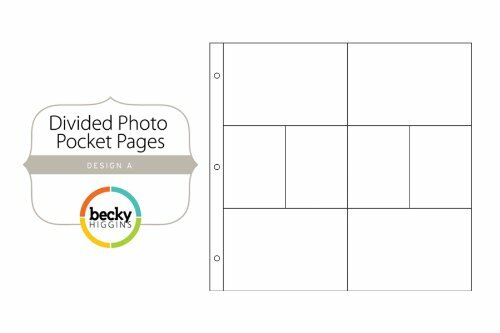 The small pockets in the center of the page are designed for journaling cards...or if you want, you can always cut down pictures to fit in the pockets, too. The journaling cards look like a deck of cards. They're blank, ready for you to record happenings and memories. They fit perfectly in the small pockets. You might have noticed that I've added some ribbon, paper and stickers...I couldn't help myself! But, really none of that is necessary! It's so fast and simple to slip in pictures, that I often work on my album in the car. If you missed my Scrapbooking in the Car post, click here. The point of Project Life is to document your life stories for future generations to enjoy and share without spending tons of time. Want to know more? 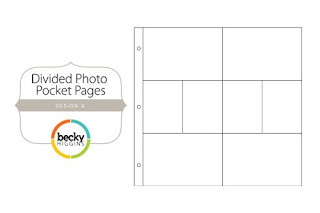 Visit Becky Higgins' website. Watch her Project Life video. Of course her kits are completely sold out for this year, however you can order the separate pieces. 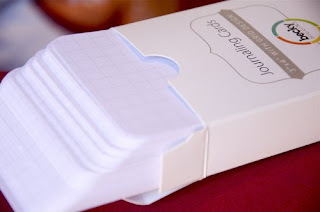 I'm writing this post for a few friends that asked to know more about how I scrapbook. Hey dear - what are you doing blogging? It's a pretty good hint to take a day off when you are out cold with the flu. ps. let me know which kids I'm picking up tonight and where. This is so cool! I've always wanted to be better about documenting things but didn't like the time and money it took to scrap book. I'm going to look into this. Thank you so so so much for sharing!